NEW! 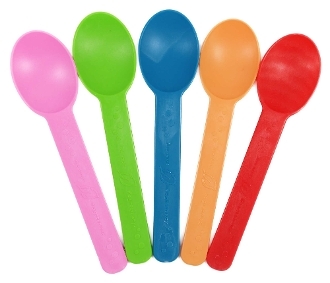 Heavy weight bio based yogurt spoons now available in mixed colors. These spoons are heavy weight and eco friendly making this one of the most popular choice for hundreds of yogurt shops worldwide. These spoons are embossed with "Live Smart, The Green Way" letting your customers know that you care about the enviornment.